The undisputed leader in drag racing technology. Larry McBride broke the 240mph and the 6 second barrier in 2000 using an EK drag racing chain. This incredible world record was made in a single pass and ever since, EK has been known as the “legend of drag racing chains”. 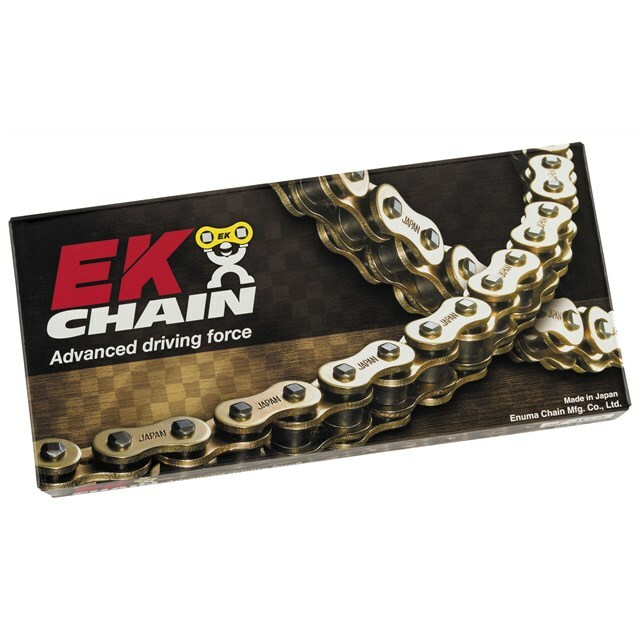 In the drag racing community, EK is the only reliable choice for serious racers who desire to break records in any class, including AHDRA champions Phil Schmidt, Dales Raudenbush and Mike Romine. Note: For 300HP max; 11,500 tensile strength.